1st week of COP21 in Paris: What has happened so far? 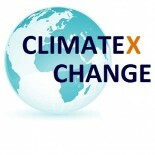 From the 30th November to the 11th December it takes place in Paris the COP21 of the UNFCCC . This is the 21st annual meeting that has taken place already within the UNFCCC frame. But why is Paris so important if there is a COP every year? Even though working towards tackling the drivers and impacts of a changing climate is what constitutes the climate regime, the decisions made therein are not only pertinent to addressing climate change.